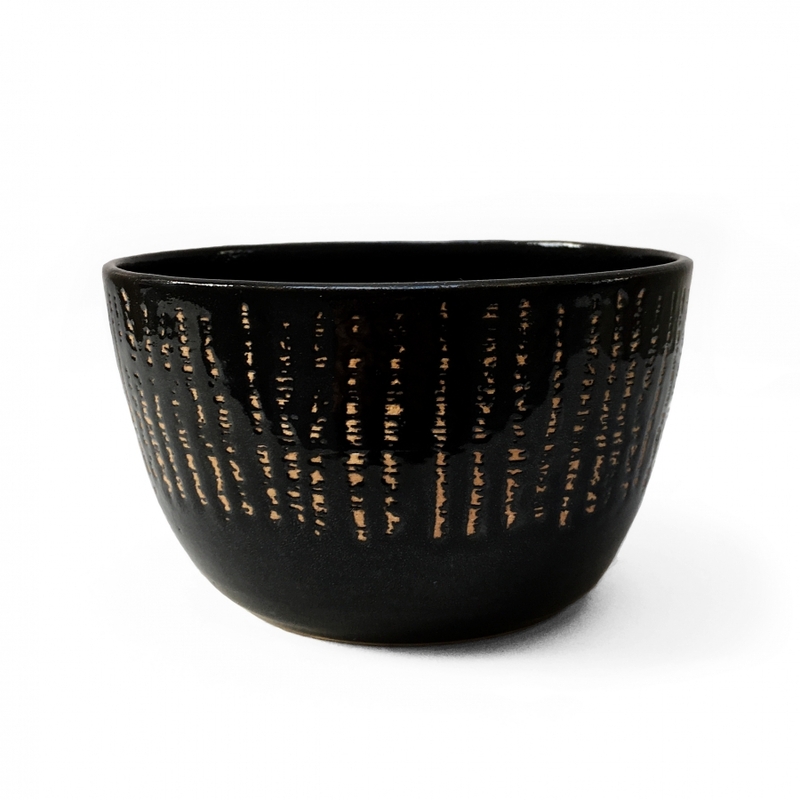 Hand-thrown stoneware bowl, fully glazed with unglazed stripes. Approximately 70mm high x 120mm. Made in London. 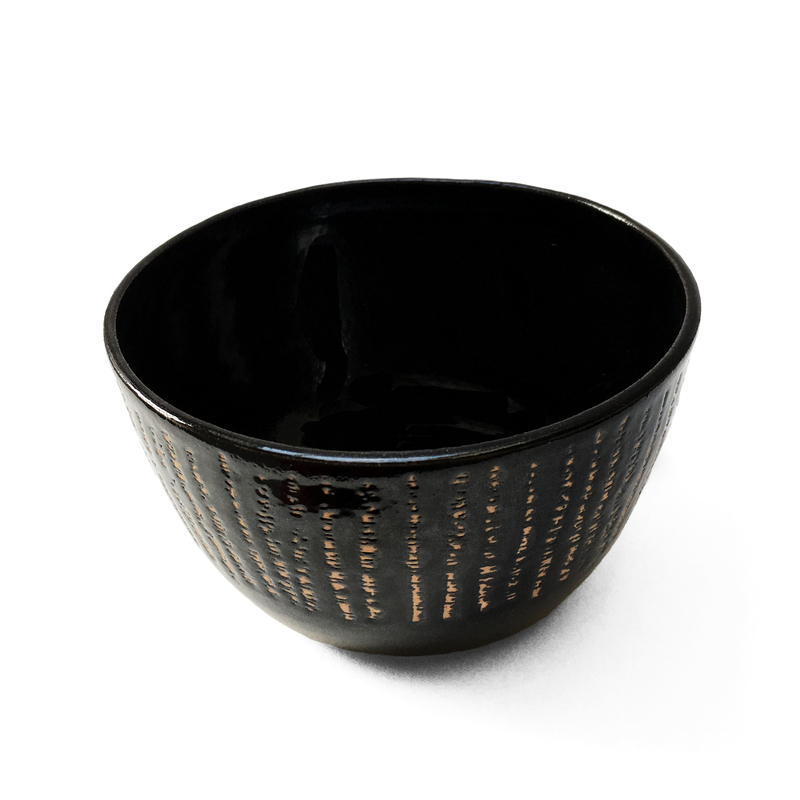 SKU: Hannah Bould black bowl. Category: Ceramics.